A nice sized grove of Aspen trees display their electric spring green in the Lumpy Ridge area of Rocky Mountain National Park. 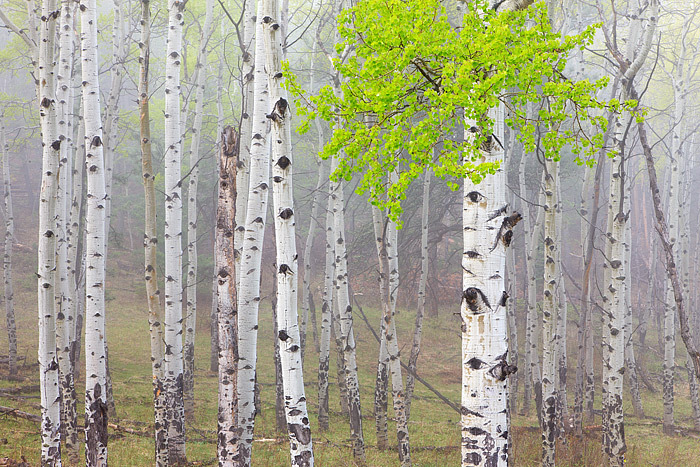 A light rain and fog helps to intensify the key lime green color newly budded aspen leaves display during the spring. Photo © copyright by Thomas Mangan.